The Central American country of Honduras has been slowly but steadily crawling out of its violent reputation and emerging as a paradise for travelers from all over the world. With its varied wildlife, abandoned Mayan ruins and beautiful national parks, Honduras is one of the best off the beaten path tourist destinations in Central America. The country is noticeably cheaper than the other destinations of Central America which makes it a great budget travel destination for backpackers. However, the low prices do not mean that Honduras has anything less for you in store. In fact, there are a lot of Honduras tourist attractions which should be counted as must visit attractions of Central America itself. To help you navigate through the lesser-known paths of Honduras, here are the top three things which you must try out when you travel to Honduras. The ruins of this Mayan city is the most popular tourist attraction of Honduras. The Copan Ruins Archeological Site is, in fact, the most studies Mayan city in the whole world. Dating back nearly 2000 years, these ruins have been declared as a World Heritage Site by UNESCO. There are a lot of things to see in this Honduras tourist attraction. Explore the stelae and altars which surround the huge plaza, stand in awe in front of the ball court, or see the longest Mayan text ever known at the Hieroglyphic Stairway. There are so much to see, that it is impossible to explore the ruins in a simple visit. Roatan, the largest of the Bay Islands is also the most developed of the lot. This well-kept secret of Honduras has now become a really popular tourist spot due to its beautiful landscapes and diving opportunities. The beaches of this beautiful island especially make this destination one of the must visit Honduras tourist attractions. The West Bay Beach is particularly worth mentioning. 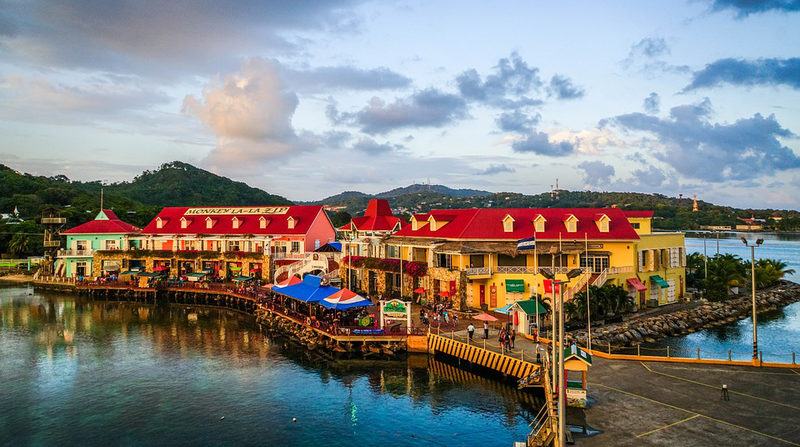 Explore the mountainous interiors of the island, spend some relaxing days by the beach or dive into the colorful coral reefs – a trip to Roatan is must when you travel to Honduras. It doesn’t matter if you are a birder or not. A trip to Lago de Yojoa should certainly be a must in your Honduras itinerary. Lago de Yojoa is the largest natural lake in Honduras, and it is just the perfect spot to watch some birds. More than 480 species of birds have been spotted in this huge lake. You can enjoy the beauty of the lake from the shore, or get into the water on a canoe. There are quite a number of hiking trails, waterfalls and even an underground cave system located in the nearby area, which you can explore. A lot of guided tours are also conducted to the nearby coffee plantations or the archeological sites. The lake also shares its borders with two national parks, namely Santa Barbara National Park and Cerro Azul Meambar National Park.